As we all know, Apple Music is a popular streaming music service, for which all the songs on Apple Music are DRM-protected. We get access to Apple Music’s entire catalogue only within three-month free trial period or by paying monthly fee to subscribe the service. Once we cancel the subscription of Apple Music, we will lose access to all of the songs. In other words, we won’t be able to own the Apple Music songs that we listen to, UNLESS we can find a way to download songs from Apple Music to our local computer. Here you will learn a quick and easy way to save and download music from Apple Music to your Mac / PC for offline listening. Why Can’t We Download Songs from Apple Music to Computer? Apple Music adopted the access control technology – DRM (short for Digital Rights Management), to restrict the distribution of copyrighted songs. In this way, Apple Music subscribers are limited to listen to Apple Music with Apple Music App by paying the subscription fee every month. From another point of view, once we find a way to get rid of its DRM, we can easily download any songs from Apple Music to our local computer. 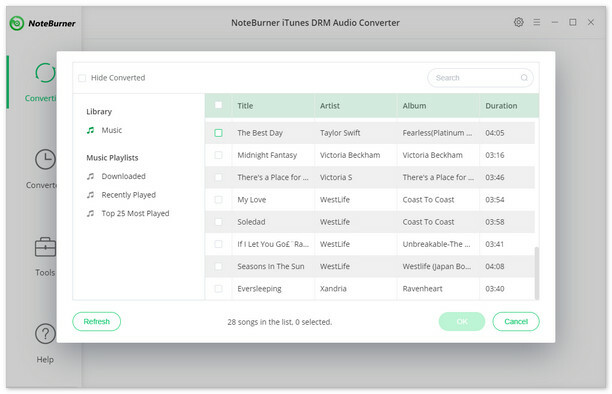 Here we going to apply the most popular Apple Music DRM removal tool – NoteBurner iTunes DRM Audio Converter (with key features as follow) to show you how to save Apple Music songs to Mac / PC step by step. The following is a detailed tutorial on how to save & download music from Apple Music to local computer. 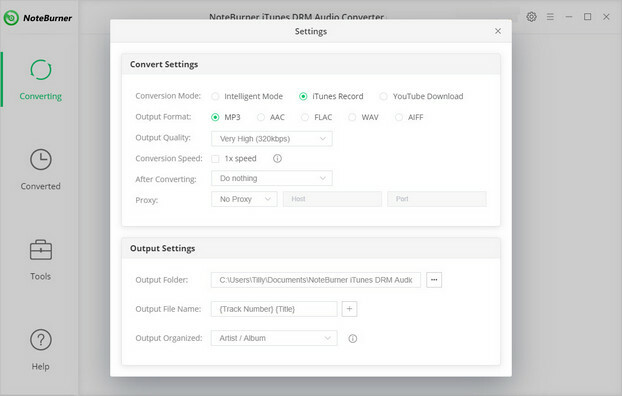 NoteBurner iTunes DRM Audio Converter supports both Windows and Mac OS. Here we take the Windows version as an example to guide you to save Apple Music as local files. Note: For Mac users, please refer to Download Music from Apple Music on Mac for detailed steps. Click button "+" on the upper left. 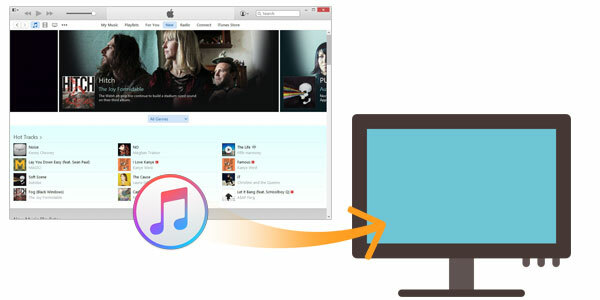 A pop-up window will show you all your music downloaded in your iTunes Library. Choose the Apple Music that you want to save to your computer and then press OK. When the conversion is done, you can find all your downloaded Apple Music on your computer by clicking the history button on the upper right or directly going to the output folder you customized in previous step. Now you can listen to Apple Music offline anywhere anytime or transfer them to your preferable devices for enjoying at convenience.